The man in the North often used as a punching bag by Sinhala hardliners and for sensational headlines and soundbites for the Colombo media, on Tuesday 22 November came to their doorstep to invite them for an open dialogue on Northern and Eastern issues. Why do Justice Wigneswaran and the TPC have to call for a “North-South Dialogue” now? Isn’t there a North-South dialogue for reconciliation, that the government hypes so much in all their talks? That perhaps is from where answering this question should begin. This government does not believe in people for reconciliation. Reconciliation for this government is no different to that of the Rajapaksas. For this “Yahapalana” government it is all about construction and funding livelihood projects, no different to Basil’s “Uthuru Wasanthay” (Northern Spring) and “Negenahira Navodaya” (Eastern Awakening). Chandrika Kumaratunge’s heavily funded ONUR now leads from where Basil left. While the Northern and Eastern people do not reject infrastructure and livelihood projects, they want them to be consulted to decide on what and where development work should be focused on. They don’t want themselves to be treated as receiving hand outs from Colombo. Reconciliation after all is about “dignity in life and mutual respect”. With that comes post-war issues left unsolved for over 07 years for now.Topping them all is the political solution for the “National Question”, the South has been dragging its feet on, in negotiating for over 06 decades. Non-governmental organisations (NGOs) in Colombo have lent their time and expertise on this for almost 30 years. They organised very expensive awareness campaigns, exchange programmes and training sessions with foreign funds. They carried out projects on “peace, ethnic harmony, conflict resolution, power sharing and federalism, ethical media reporting on ethnic conflicts and even foreign study tours” that supported numerous social segments, social activists, the clergy, politicians, women and youth to create social awareness. Over the past 30 years, the money they spent on these programmes may even be much more than the total budget of the Social Services Department during the same period of time. The fact is, they have failed in their efforts despite all that money spent. Proof they failed in all their projects to push through stable peace, ethnic harmony and a negotiated political settlement to the “national question” through power sharing, is amply demonstrated first with the war waged and concluded in May 2009. That military approach is now accepted as the only solution that was practically valid. Their failure is also proved in how the media behaves with a Sinhala bias, at times going openly anti minority. And with Sinhala Buddhist extremism emerging in many different violent forms. Sri Lanka would not have got enmeshed and burdened with Sinhala Buddhist extremism and a brutal war, had their heavily funded projects on “peace, ethnic harmony, power sharing and federalism and everything to do with the national question” over almost 30 years, had been successful. But these NGOs have not looked back to find out why they failed and how. They failed primarily because they could never fit into the shoes of political responsibility. Finding a political solution to the much debated and agitated national question is the responsibility of the political leadership.The Southern Sinhala leaderships allowed themselves the comfort of obeying Sinhala sentiments. 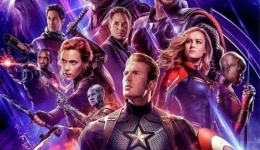 More precisely they give into the small but loud urban extremism now with rowdy saffron participation.The Sinhala political leaderships irrespective of their symbols and colours, tend to believe without logic and rationale, this loud rowdy extremism that decides the Sinhala vote. 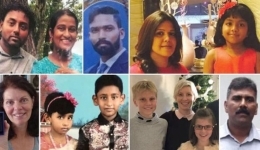 This behaviour of the Sinhala political leadership could never be stymied by a small group of Colombo based NGO activists, purely on the strength of their dollar funds.With the mainstream media too nurturing and living on the market thus created, people were left to follow political leaderships. Thus there is a valid invitation to the South when Justice Wigneswaran says, “…..this has not been done earlier. Where we could sit together and discuss like this.…..These questionings, answering, discussion, these are all very important.” Agreements reached by a few Sinhala and Tamil leaders meeting behind closed doors in Colombo, have right throughout history, been aborted in the face of hard line protests. When people are not given the right to decide what the answers should be, when people are kept out of all “bargaining” the leaders get involved in, hardliners on both sides of the “divide” find ample space for agitations and protests. That is precisely what is happening right now. This “Yahapalana” government is re-inventing the same wheel, all past negotiations ran into deadlocks, except that of MR initiated All Party Representative Committee (APRC). From 1957 B-C to 1965 D-C Pacts to Jayawardene’s All Party Conference, the Thimpu discussions and all negotiations under Premadasa and Chandrika presidencies, and then led by PM Wickremesinghe with the Norwegian brokered ceasefire agreement in place, failed because the Southern political leaders did not get the Sinhala constituency on board. They never played the leadership role they should, in creating confidence in people, to accept a negotiated settlement to the conflict. Results have not only been negative, but terrifying and tragic too. 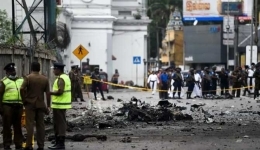 The conclusion of the war has left a human tragedy that was fiddled with Sinhala tools by the Rajapaksas and is prodded by the “Yahapalana” government now. They remain festering, and lead to remorse and anger without any decent and humane political hand to resolve them. The ruling political leadership in Colombo shies away from solving post-war issues. With the long-delayed LG elections and 3 PC elections lined up for 2017, they make every effort to look “Sinhala” in an ethno religiously divided post-war country. 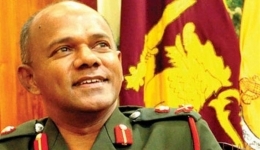 The President consistently asserts that war heroes should not be investigated on crimes and the PM talks of saving Sangha chapters including the Malwatte from conspiracies; all efforts in reserving Sinhala Buddhist votes for elections. 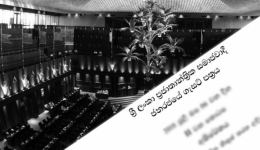 In such a Sinhala dominated political context, national issues are decided by Sinhala preference.Thus there is very little chance, the Sinhala hard line politics that’s never challenged, would allow decisions arrived behind closed doors to be worked out. Rajapaksa has already gone on record, as saying any federal system can lead to separation. His Joint Opposition is not going to compromise with any power sharing that would go beyond the present 13A, implemented with police and land powers suppressed. Considered a constitutional law expert, PC Manohara de Silva addressing a press conference on 24 November as the National Joint Committee (no clue how national it is and what ‘joint’ means here), had claimed, giving police powers to PCs including North and East would create “nine military gangs”. Such infantile political statements that try to couch “policing of society” with that of the “national security” of the country though pathetic, gets the best of the Sinhala day. Such Sinhala infantilism is allowed, with no serious dialogue in society as to how power can be shared in the provinces, with a central government handling everything national, including security and foreign affairs. The rationale for a “North-South Dialogue” as presented by Justice Wigneswaran and his TPC leaders, thus hold purpose and reason for Southern attention. Unless consensus is reached with the Sinhala citizenry through open and serious discourse, no stable and workable solution can be worked out for the North-East. That is the “practical truth” today in Sri Lankan politics. It is also the political truth that part of the country cannot enjoy human, democratic, political and economic rights that are denied to the other part of the country. In short Sinhala citizenry will not be able to enjoy a stable, peaceful and a socio-economically developed life, without allowing the North and East to enjoy same. That is the option now offered by Justice Wigneswaran and the TPC, to the Sinhala people. The issue is, does the South understand the advantage of accepting that offer? The Sinhala media does not. But will the Sinhala social activists and the middle class intelligensia understand its importance and come forward? If they do, then it is not too late for the Sinhala South to sit with the North and East for serious dialogue. Its time that the North and South came together on the political slogan “Nothing About US, Without US”.